Highly grateful people tend to connect with others more easily and are easier to get along with. Their optimism helps them look for silver linings in even the cloudiest situations. Negativity – often seen in the Debbie Downers or Surly Sams of the world – can make relationship-building a bit tricky. People who are highly grateful stand up for others more often, including bullies in the school lunchroom, neighborhood or next cubicle. Their grateful disposition inspires them to more readily see the intrinsic value of others and to protect them. 3 More Stable & Steady. Grateful people are generally more steady and stable. They are less likely to exhibit wild emotional swings whenever things go really well – or when they go really poorly. From seeing those silver linings, they tend to respond less negatively to stressors than people who are not driven by gratitude. Can You Be Too Grateful? One potential downside of gratefulness or emotional stability is never getting keyed up about anything. Big emotional swings are often associated with passion, charisma and enthusiasm – all attractive traits. 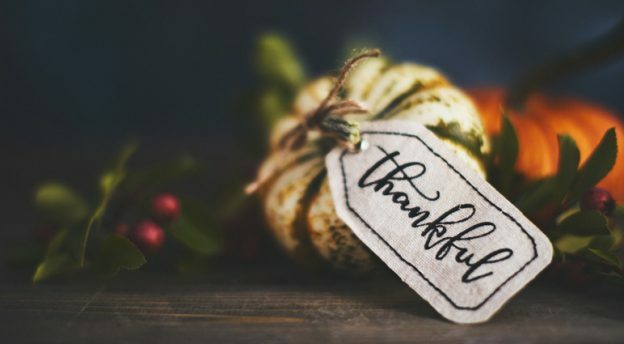 This dispassionate, even-keel approach may cause some people to assume exceptionally grateful people are disinterested and maybe even complacent during difficult times. If you’re looking to fuel more passion, find a cause that excites you or a project that challenges you – and then commit to doing something about it! To become more grateful, seek out others for socializing and relationship-building encounters. Low-gratitude people tend to be passionate and engaged in the world around them. They are more likely to respond intensely when things are going right or going wrong, letting everyone around them know how much they care. And while their high highs are enthralling and exciting for others, their low lows can become intimidating and potentially toxic. To become more grateful, seek out others for socializing and relationship-building encounters. Embrace an attitude of mindfulness that focuses on an optimistic view of events and circumstances. Look outside yourself by finding a cause you can support, particularly involving helping people. This entry was posted in Blog on November 26, 2018 by David Grossman.